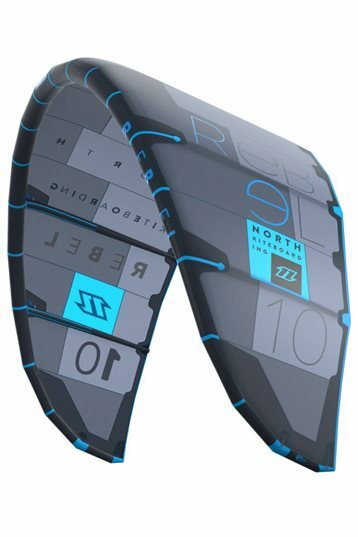 North's 2011 SLE Freeride/wave/race kite. Whether you're ripping apart waves, getting huge, lofty jumps or just blasting around on flat water, the 2011 Rebel is a stylish 5-line all-terrain free-ride/wave machine that gives you an unmatched "connected" feel and virtually limitless performance in all conditions. The Rebel has become famous for it's direct de-power, smooth, predictable turning, even when de-powered, and short bar stroke. And this year is no exception! Flutter-free wingtips have again greatly improved the smoothness and consistency of the Rebel's turning. This smooth turning combined with optimized canopy profiles that are highly resistant to back-stalling provide seamless power delivery ideal for surfing. Improved bar feel and de-power in the small sizes means even more comfortable and accessible top-end so you can keep having fun even when the wind gets nuclear. The loaded 5th line design provides the highest level of safety as well as being responsible for the unique short de-power stroke and direct lively feeling. Mainly due to the floating strut construction, the Rebels get a very direct and precise feeling – even when depowered. Our highest quality standard "Progression 10" construction means the Rebel is built to last and withstand the demands that serious riders put on their kites, as well as providing a long list of other slick details like back line V bungees and snag free strut ends. Now stop dreaming and go ride! 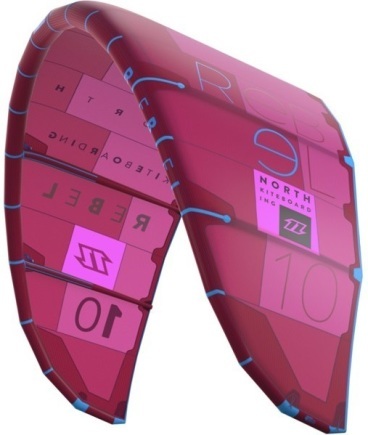 In the 2011 Rebel, North Kiteboarding paid extra attention to the materials used and the finish of the kite. 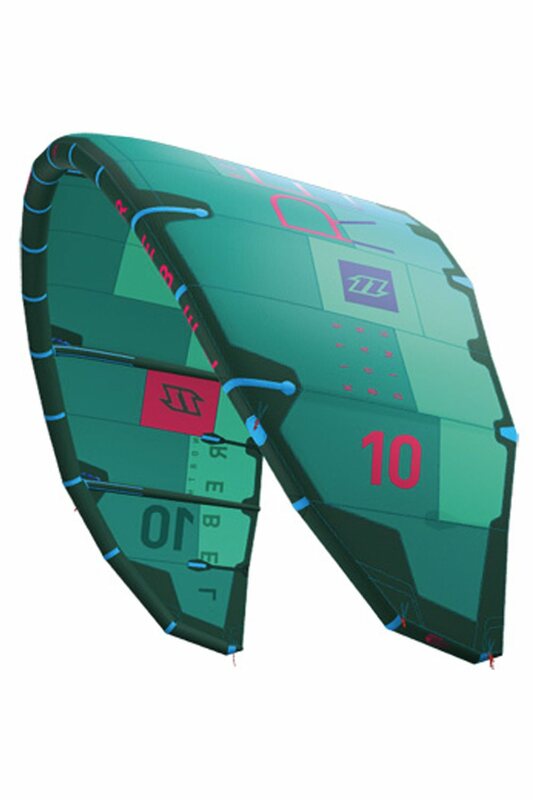 The canopy is made of a new material called D2. You can recognize the D2 by the double squares in the fabric. Furthermore, North incorporated a "floating center strut". Watch the following clip for more info about the floating center strut. One of the first things you notice when flying the 2011 Rebel is the very small turning circle and the reaction speed. This has very much improved over the 2010 model. The feedback you get at any point in the flight-line, the boost and the small turning circle make the kite just right foor kiteloops.The good low-end and the control you have in the high-end give the Rebel a great range. The 2011 bar has been tuned on a few points, and the loaded 5th line is great when the safety is used. However, when the powerlines are streched after some time the relatively shorter 5th line might influence the profile of the kite. - Stability. Worst case scenario is that the kite can tilt and drop. This is also due to the tendency to go to the edge. - Loaded 5th line which is good for safety but a disadvantage in the waves and when thepowerlines are streched. If this happens just add a pigtail (comes with the kite). - Short sweetspot, so less good for freestylers. For this North offers the Vegas. 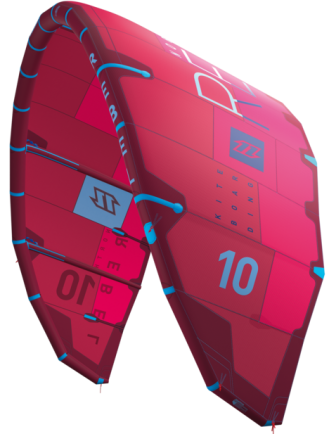 The North Rebel is a multi-functional kite for advanced and technical riders. There is a lot more to get from the 2011 model than the 2010 Rebel. Main improvements are the turning circle, the boost and the feedback through the steering-lines. The rider has control over the gradual power buildup. The kite has a high maximum speed. All this makes the kite a great free-ride kite. The more skilled the rider the more that can be gotten from the kite. The High and Low-end of the Rebel 2011 is good, giving it a large range. You can keep control a long time. Even in overpowered conditions full depower. Good freeride kite. Easy to go upwind and good for progression. Overhall good kite construction, durability and ridding.